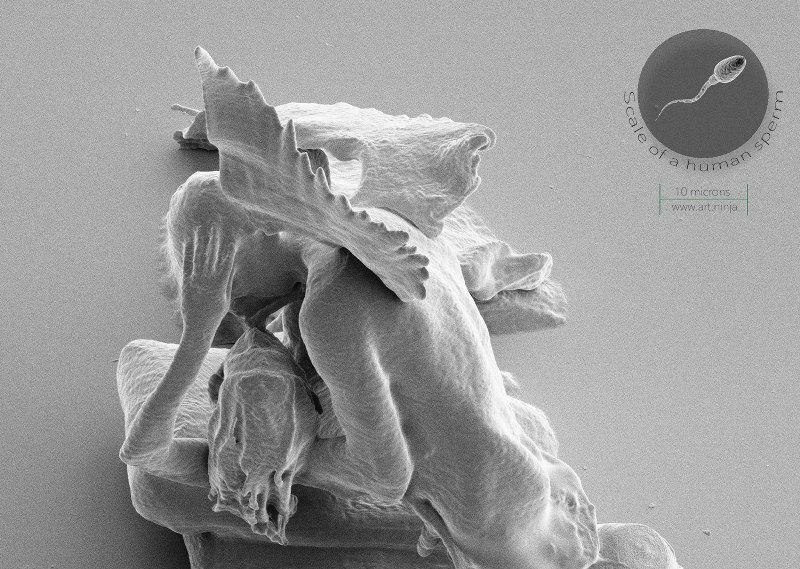 Artist Jonty Hurwitz is credited with designing a series of incredibly detailed, nano-sized sculptures that can seen only under an electron microscope. 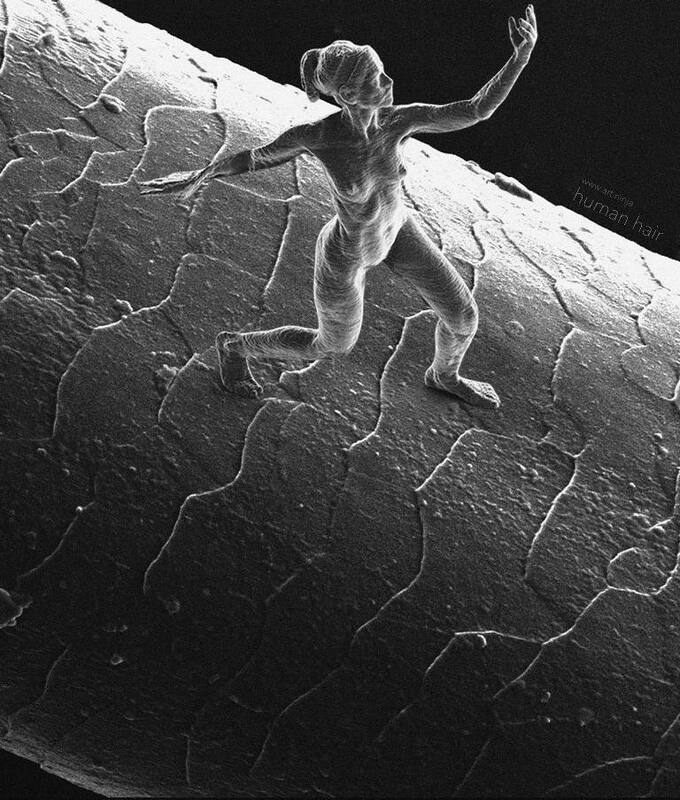 Using the techniques of 3D printing and multiphoton lithography, Hurwitz has created what is likely “the smallest creation of the human form in history”. 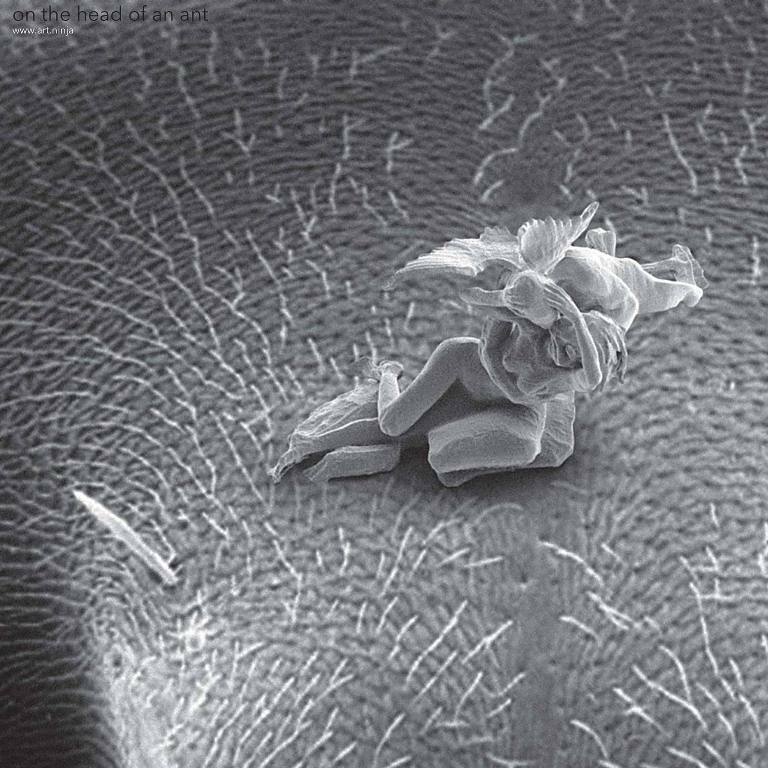 The only way to perceive these works is on the screen of powerful scanning electron microscope. 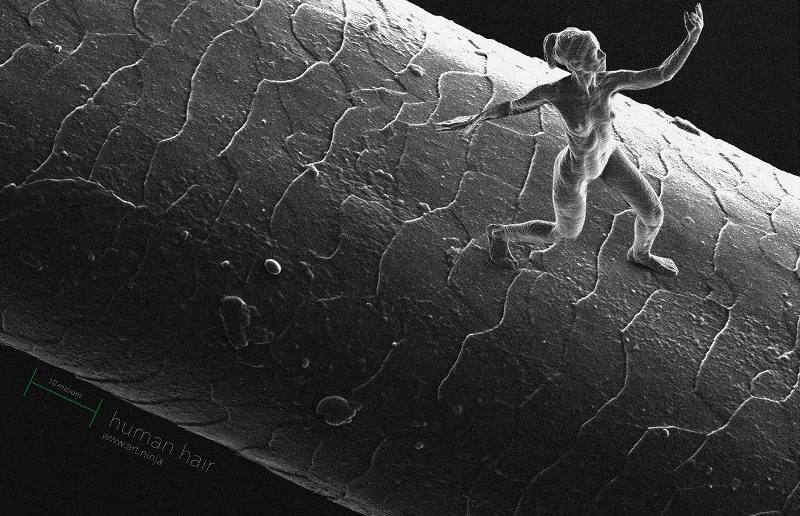 So how can you ever know that this sculpture really exists? Your only way to engage with it is through a screen, and a mouse separating you and the art via a vacuum and a series of mathematically mind-blowing quantum processes that shower the art with particles to map its contours. Can you be sure of its existence if your basic senses are telling you that nothing is there? The line between myth and science is fine. 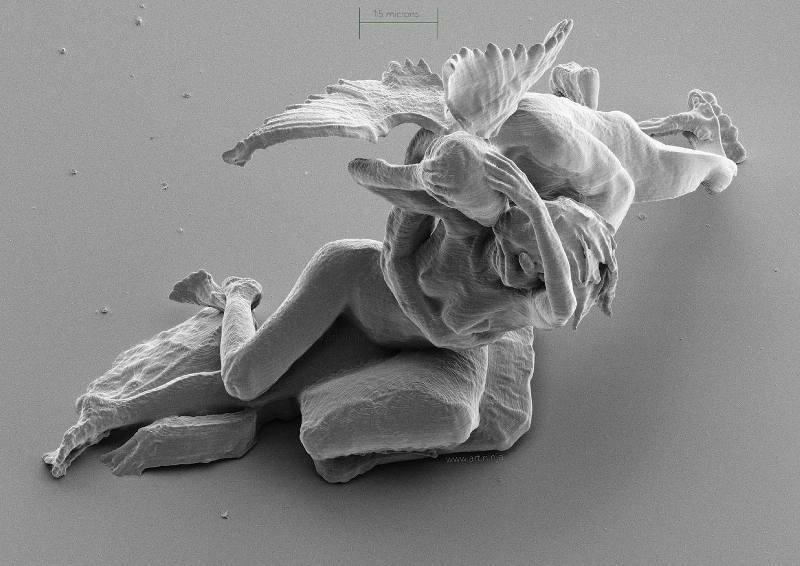 It took Hurwitz and his colleagues ten whole months to construct these nanoscopic sculptures, all of which are based on photos of human models and, also the 18th century sculpture “Psyche Revived by Cupid’s Kiss” by Italian artist Antonia Canova. These photos were captured by means of 250 cameras arranged systematically in a dome around the specific subjects( in this case the woman and the Louvre statue). If you illuminate a light-sensitive polymer with Ultra Violet wavelengths, it solidifies wherever it was irradiated in a kind of crude lump. Some of you may have experienced a polymer like this first hand at the dentist when your filling is glued in with a UV light. If however you use longer wavelength intense light, and focus it tightly through a microscope, something wonderful happens: at the focus point, the polymer absorbs TWO PHOTONS and responds as if it had been illuminated by UV light, namely it will solidify. 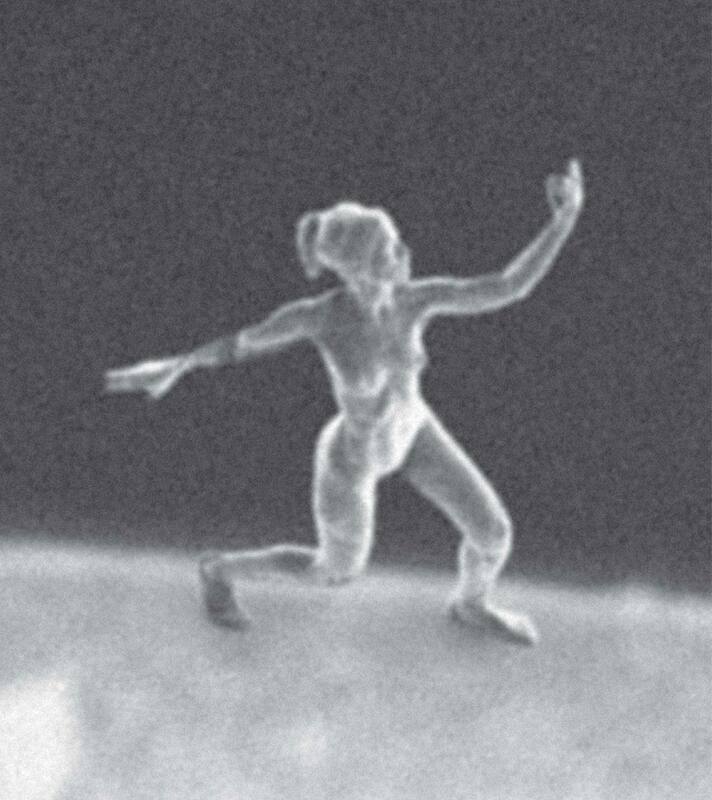 This two photon absorption occurs only at the tiny focal point – basically a tiny 3D pixel (called a Voxel). The sculpture is then moved along fractionally by a computer controlled process and the next pixel is created. Slowly, over hours and hours the entire sculpture is assembled pixel by pixel and layer by layer. 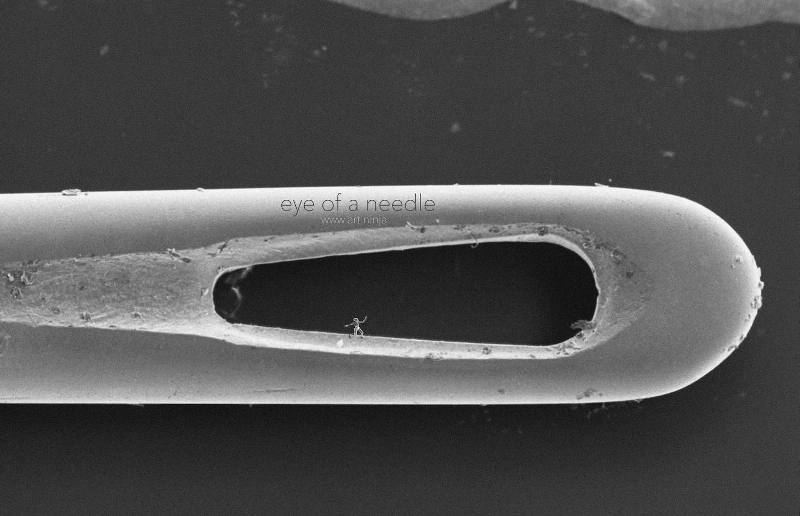 One of the sculptures named “Trust”- shown above – measures around 80 x 20 x 100 microns; approximately the same as the amount a fingernail grows over a period of fix or six hours. The series also consists of a unconventional piece entitled “Intensity”, which shows a cluster of seven mannequins standing close to each other. “Cupid and Psyche: The First Kiss” depicts Eros, the Greek god of love, in a passionate embrace with a woman. 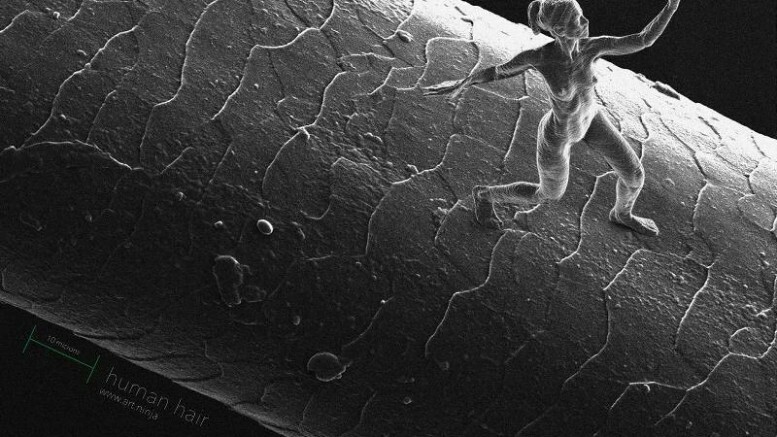 Take a moment to consider that only 6,000 years ago we were painting crude animal images on the walls of caves with rocks…This nano sculpture is the collective achievement of all of humanity. It is the culmination of thousands of years of R&D. However, nothing lasts forever. 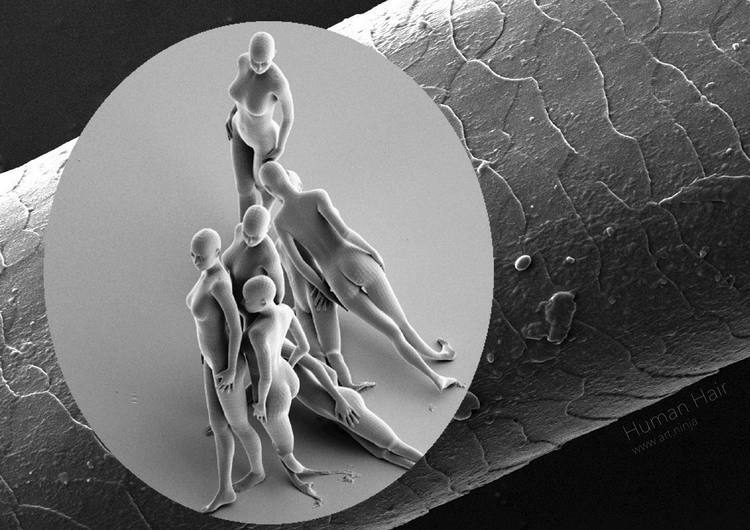 When examining them with the help of a mirror and a microscope, the nanosculptures were accidentally destroyed while moving the mirror to view from a different angle. Nevertheless, the photos of the artwork, available online, have received phenomenal response from across the world. 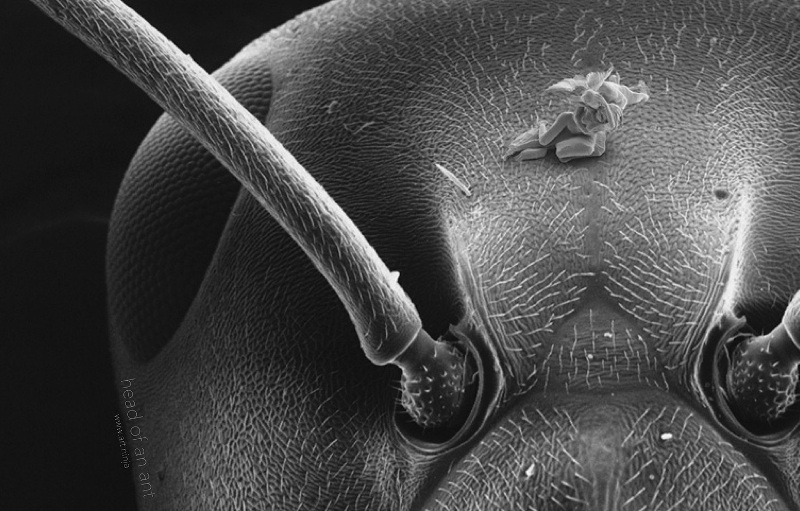 The project was completed in collaboration with researchers and scientists of the Institute of Microstructure Technology, Weizmann Institute of Science and Karlsruhe Institute of Technology. To learn more about Jonty Hurwitx and his creations, check his official website.